DeVries Diversified has a long history of installing and repairing mainline sewers all over Los Angeles County and surrounding areas. All the latest requirements for installations can be handled by our highly experienced experts. As a result, we have a good reputation in the industry for doing quality work. The City of Los Angeles has Gopher Construction Company listed as an approved contractor for Public Works projects. We make sure that the installations we are involved in are done correctly therefore restoration is top notch. You may need a mainline sewer repaired we are also trained in all type of repairs. Our trained experts can provide you with a complete and thorough estimate. Are you interested in having a mainline sewer installed? We can assist you in finding a Civil Engineer to design the mainline sewer for you. A list of civil engineers can be provided. In addition, we would be happy to send it your way if you are considering a new installation. Our experts can furthermore describe to you the process of getting approval and fees that may need to be paid. Lastly, we direct you to individuals in the various agencies who can help you and give you more information. Have more questions? You may want additional information, or would like to make an appointment to have a representative come to visit your site. Please call us at 818-352-2253, or contact us. Because your questions are important to us, we will be happy to answer them, and email, fax, or mail you additional detailed information. 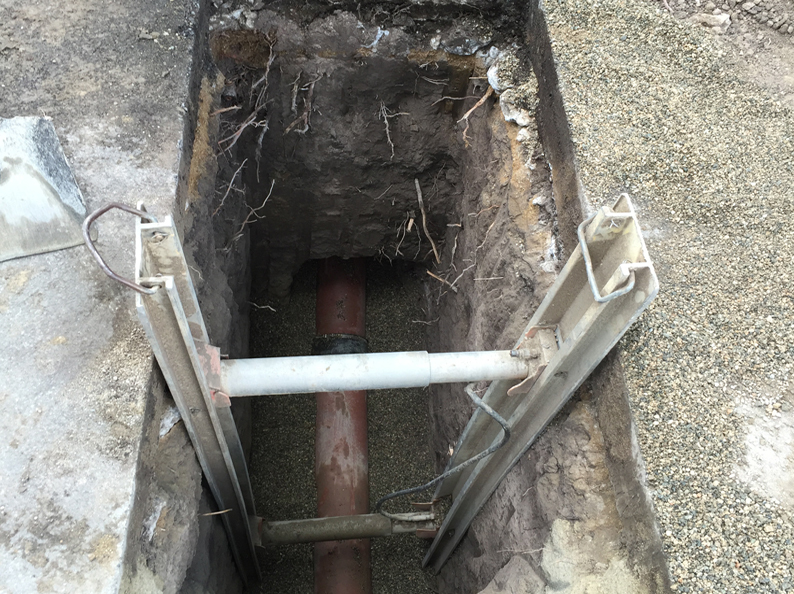 A sewer lateral is normally a 6-in diameter pipe that is installed typically from the front property line of a residence to the mainline sewer pipe, which is typically in the middle of the street. There are a lot of exceptions as to where the mainline could be located. For instance, it could be located in an easement at the back or side of a property in a private sewer easement. Our experts are very experienced at both installation of and repairing sewer laterals in all types of situations. Consequently, you may have problems or questions about your sewer lateral. Therefore, we are ready to help. Satisfaction is important to us, so our specialty is to find and recommend the best and lowest cost solutions for each situation. Furthermore, our technicians can quickly and efficiently install or repair your sewer lateral pipe. Need more information? If you need the information regarding city or county requirements, fees, or any other important additional information about mainline sewers or sewer laterals, feel free to contact our office at 818-352-2636. We will be happy to provide the information via email or fax to you. Most of all, we would be happy to assist you if you have any questions or if you need more information. 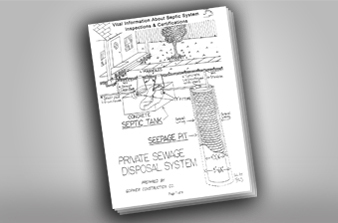 Gopher Construction Company has put this 23 page guide booklet together, An introduction to Private Sewage Disposal Systems, as a result of your inquires. Contact us for your own copy (818) 352-2253.